Due to a cascading effect, the impact of the wage increases of Supreme Court Justices could total an extra R$800 million per year in payments. 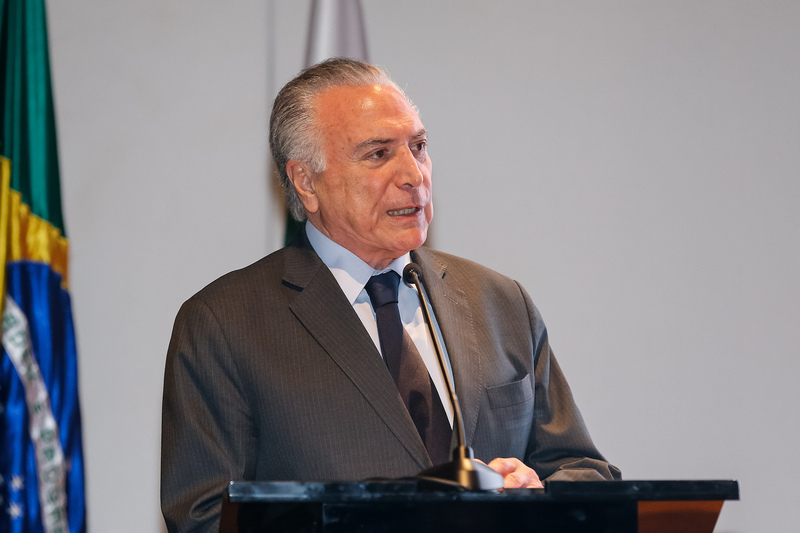 RIO DE JANEIRO, BRAZIL – President Michel Temer sanctioned on Monday (November 26th) the polemic wage increase of Brazil’s Supreme Court Justices as well as the country’s Attorney General. The controversial bill received a lot of criticism from the public at large as well as public officials. Brazil’s President, Michel Temer, sanctioned the controversial bill increasing the salaries of the country’s Supreme Court Justices, photo by Cesar Itibere/PR. “There is a project to delay wages increases to federal employees until 2020. If there is not enough (money for wage increases) for federal employees, there cannot be enough for the magistrates. Not to mention the cascading effect to the states’ (judicial system),” said Senator Regina Sousa criticizing the bill. The cascading effect, where all the other judges and public servants in the judiciary system in the lower courts base their wages on Supreme Court Justices, is one of the concerns. According to forecasts by economic analysts at the Chamber of Deputies and the Federal Senate, the impact of the wage increases of the Justices could be of nearly R$800 million per year. Justifying the sanction the President noted that the proposed adjustment was made by the Supreme Court in 2016, and approved by Congress.The President said he only signed the sanction after the Supreme Court agreed to revoke housing assistance allowance to judges across the country. On Monday, Supreme Court Justice Luiz Fux revoked the allowance. Nonetheless, the increase has caused tension between the outgoing Temer Administration and the incoming government of president-elect Jair Bolsonaro. In the beginning of November, Bolsonaro expressed concern about the possibility of a readjustment. According to Bolsonaro, the timing was not adequate for the increase.